From yoga retreats to remote countryside casitas, we’ve put together a list of the 9 best boutique hotels across the country that’ll help you experience the best that Mexico has to offer. Travel Story | In the far north of the Arctic Ocean, halfway between Europe and the North Pole, lies a cluster of jagged, barren islands lost at the top of the world — deathly silent and hauntingly empty. The quintessential Lisbon experience, this sophisticated and elegant hotel seamlessly blends classical and contemporary design in the the heart of Alfama. Overlooking the river Douro in the heart of Porto, Terra Nova offers some of the regions finest ingredients and warm hospitality creating an unforgettably rich dining experience. Sign up with your email address to receive our quarterly magazine full of travel guides, tips and stories to spark your wanderlust. No trip to Mexico is complete without some time soaking up some rays on one of the many breathtaking beaches. Discover our favourite seven beaches that you won’t want to miss. Southeast Alaska is majestic, but aesthetics aside, that epic expanse which makes the untouched Alaskan wilderness so beautiful, should be also largely– terrifying. The perfect dining experience in Lisbon. Alfama Cellar are committed to continually updating their wine list to share the newest wines from local farms. Classical architecture meets modern industrial design in the heart of Porto, Portugal. Take off your shoes, you won’t be needing them for a while. Turn off your phone – it’s time to disconnect. Stop, close your eyes, and just listen. Hear the birds singing all around you. Feel the sea breeze against your skin. Breathe in the fresh air. And relax… at Haramara Retreat. Exceptional design, elegant, comfortable and meticulously curated. Ibagari Boutique Hotel caters to those seeking an escape from reality. 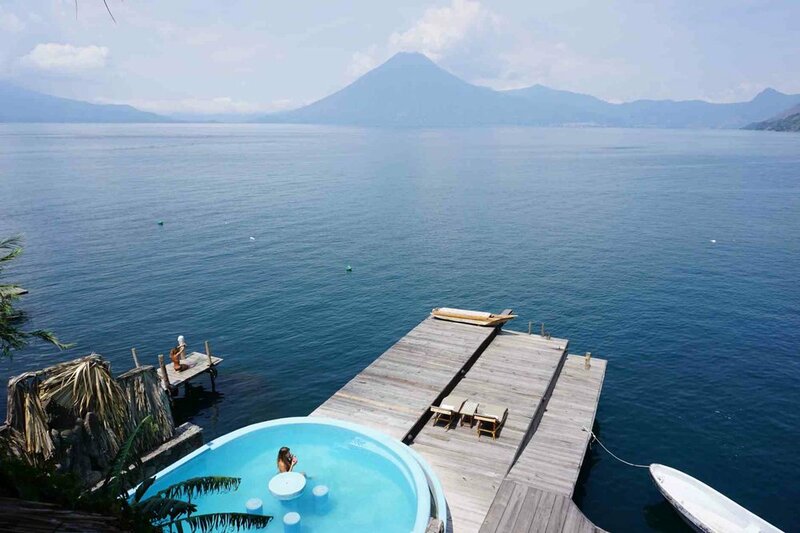 Immerse yourself in the energy and beauty of Lake Atitlan at this luxurious waterfront hotel. Up in the hills of coastal Nicaragua, each breeze that passes is a reminder that you are in paradise. An off-grid eco retreat surrounded by nature. Get away, relax, recharge.